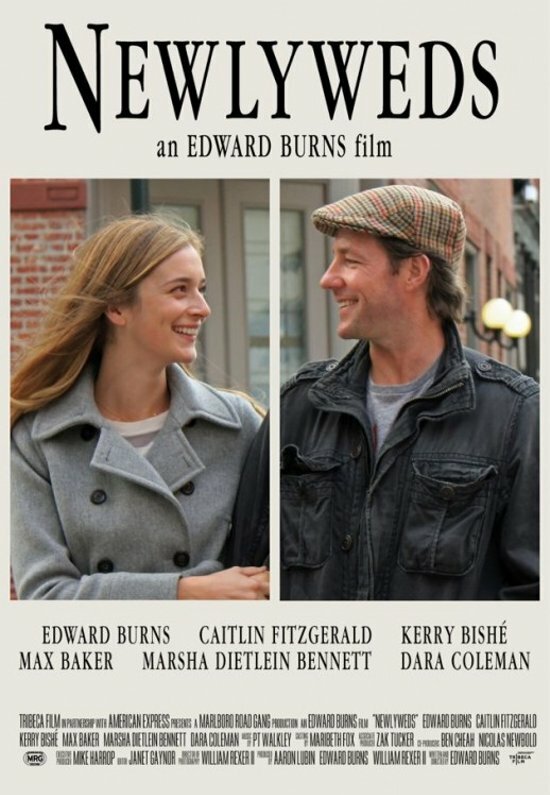 When I am in the mood to be in NYC but can’t be, I watch an Ed Burns movie. My three favorites are Purple Violets, Newlyweds, and Sidewalks of New York. I just finished reading his book Independent Ed and I ate it up. His book focuses on how he got started in Long Island, his inspirations including his muse New York City, to the inside stories of how he made each of his micro-budget independent films. 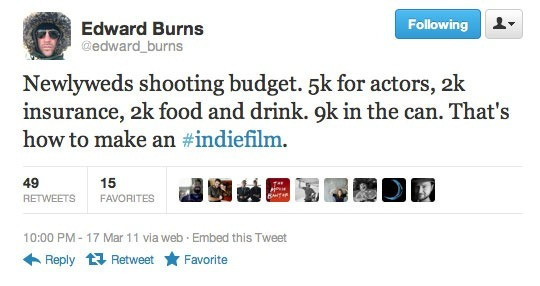 He made his first film The Brothers McMullen for only $25,000. He tells the amazing story of how he submitted it to the Sundance Film Festival, to how that led to She’s the One starring Jennifer Aniston and Cameron Diaz. Since then, his career has taken some amazing ups and downs and they make for a great read. What I really value about this book, and why I think you might like it even if you don’t know his movies, is that he has stayed true to himself as a filmmaker with each decision. His passion has kept him going despite his many failures. He has the ability to dust himself off, take good advice (often from his dad) and keep going. It’s a fun read and reminds you that following your passion is always a good idea, resourcefulness is key, and to always keep going for it. His story is sprinkled with enough Hollywood fairy dust that it feels like a Cinderella story; except that instead of magic he gets there with hard work and persistence. His talent for story-telling and great ideas don’t hurt either. The story has such a good flow that it comes full circle showing that what seemed like failure years ago, actually lead the way to him realizing his original dreams. His book is all about staying true to your art, the value of family, and the triumph of the second act; all my favorite themes of his movies. I would have enjoyed reading more about his personal life, but I like that he gave his wife the last word and the credit. He is clearly a smart man who knows his audience. This is the story of a young writer played by Selma Blair who had some literary success at college but fear has stopped her from writing since. She is now married and while out one night celebrating with her best friend played by Debra Messing, she runs into her ex-boyfriend. Played by Patrick Wilson, he is now a very successful crime novelist on the cusp of releasing a “passion project” that no one is buying. At the same time his lawyer and best friend Ed Burns wants to make amends with Debra’s character who he hurt back in college. This story is about friendship, second acts, and staying true to your art. 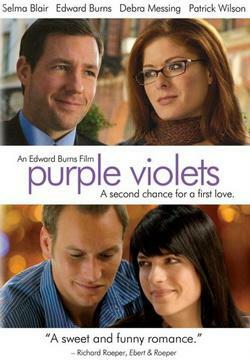 Purple Violets is not only beautiful to watch, but is classic Ed: funny, honest, and inspiring. This is the story of six New Yorkers and their intertwining love stories. It is filmed in a documentary style so the characters often talk to the camera as if being interviewed which gives it a sense of immediacy, even though it was filmed in 2001. It stars Stanley Tucci, Heather Graham, Rosario Dawson and Brittany Murphy. I have never met a night with a glass of red wine and this movie that I didn’t adore. 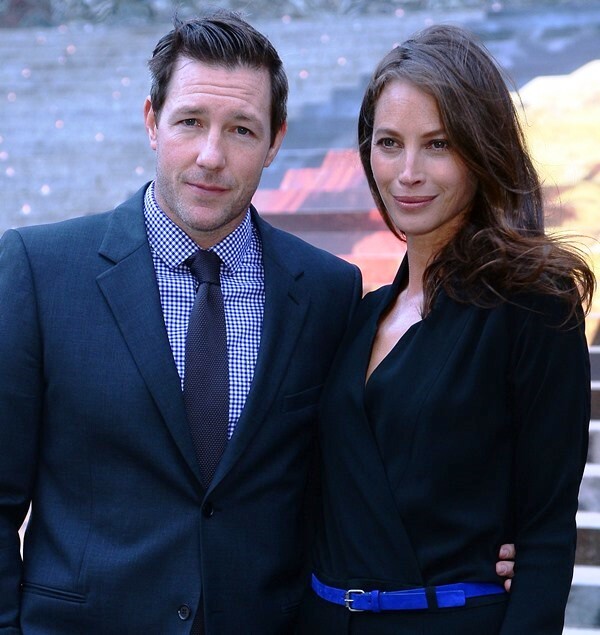 Edward Burns and Caitlen Fitzgerald (It’s Complicated) star as two divorcees that decide to give marriage a second chance. Each has a sibling that challenges their newlywed bliss, and an ex comes back into the picture to complicate matters further. Marriage and managing outside forces is always fodder for good one liners. It’s filmed in some gorgeous spaces which makes for great eye candy. 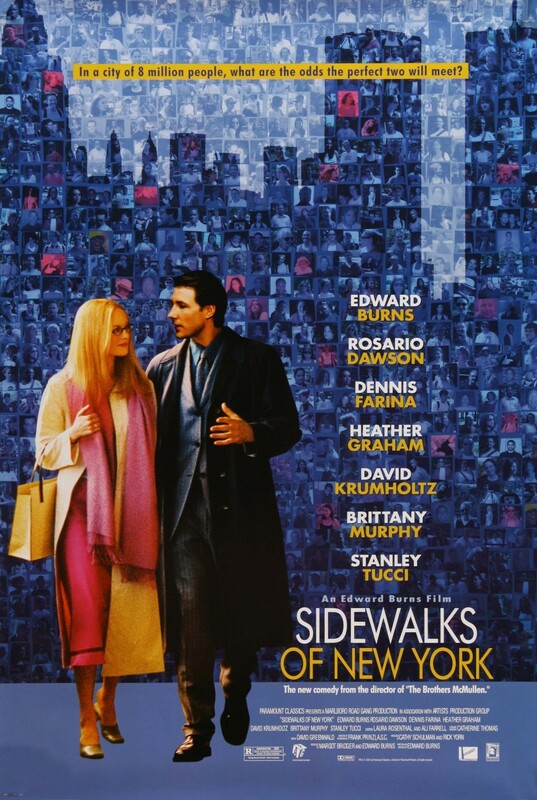 Check out iTunes or Netflix for these classic rom coms set in NYC. Here is a link to buy this great read. P.S. 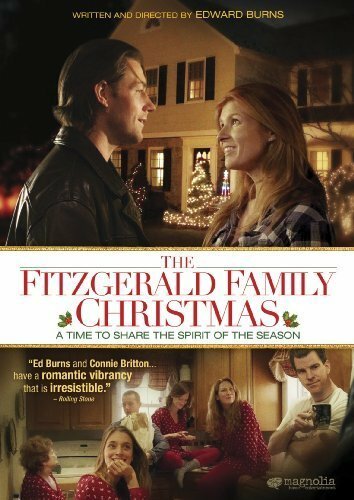 If you are looking for a Christmas classic, you really should try The Fitzgerald’s Family Christmas. This comedy about forgiveness will have you reaching for the kleenex while you smile.